Dimensions: Dolly - 500mmw x 910mmd x 1620mmh. Connector - 64mmw x 41mmd x 27mmh. Tronco Dolly available in MAT plastic with a red or black finish or a powder coated metal in a white or black finish. The tronco dolly and chair connector available for your tronco chairs. 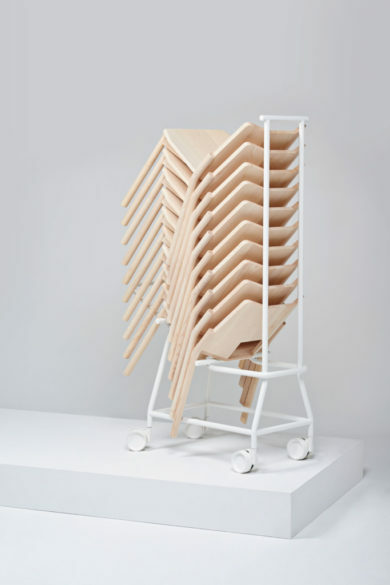 The tronco dolly allows up to 10 chairs to be stacked rather than 5. 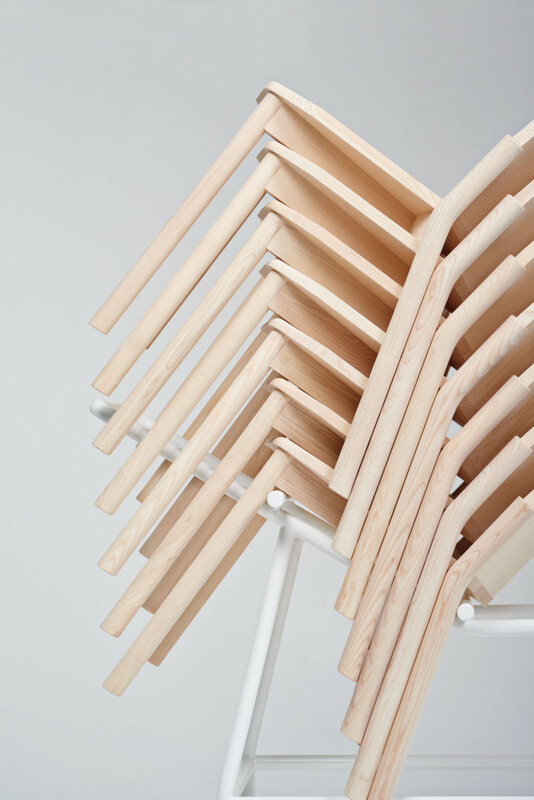 The tronco chair connector allows the chairs to be secured into rows.